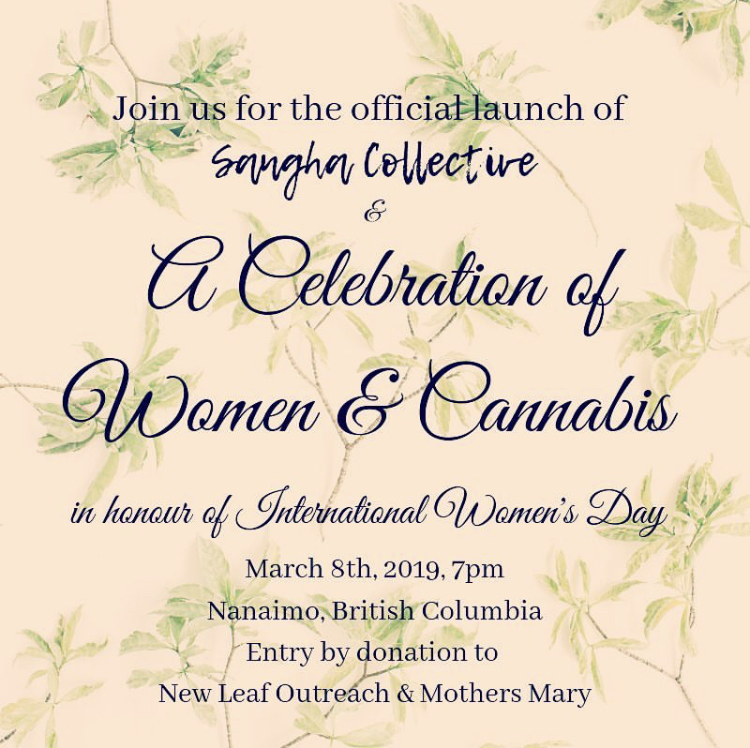 Join The Sangha Collective for their official launch while celebrating International Women's Day 2019! We hope to bring together a group of hopeful cannabis lovers (both men and women welcome) for an incredible night to honour the women in our lives & the plant we love. Entry by donation with 100% of proceeds going to Newleaf Outreach & Mother's Mary.